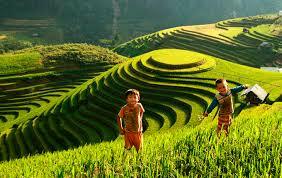 Tour route: Hanoi – Lao Cai – Sapa – Y Linh Ho – Ta Van – Seomity –Ta Trung Ho – Muong Bo – Sin Chai B – Nam Sai – Lao Cai – Hanoi. On this trip, you have time for explore one of the most beautiful parts in Sapa area, which is under protection of Hoang Lien National Park. You will have an opportunity to explore one of the most beautiful parts in Sapa area, which is under protection of Hoang Lien National Park. At night you spend in campsite nearby a river will be memorial moments along the trek with Both valleys are beautiful with mountainous surrounding and rice paddy terraces. Our tour will be started at 20:45 at the lobby of the hotel. We will pick you up and transfer to the Hanoi Railway station for the overnight to Sapa. Meet up at Lao Cai station, then transferred to Sapa, start your trek through the market and leave the busy town behind. After a couple of minutes, you follow a road going downhill to Cat Cat village. You will stop by a waterfall and a hydroelectric station for a while before you trek on a dirt trail through rice paddy terraces. 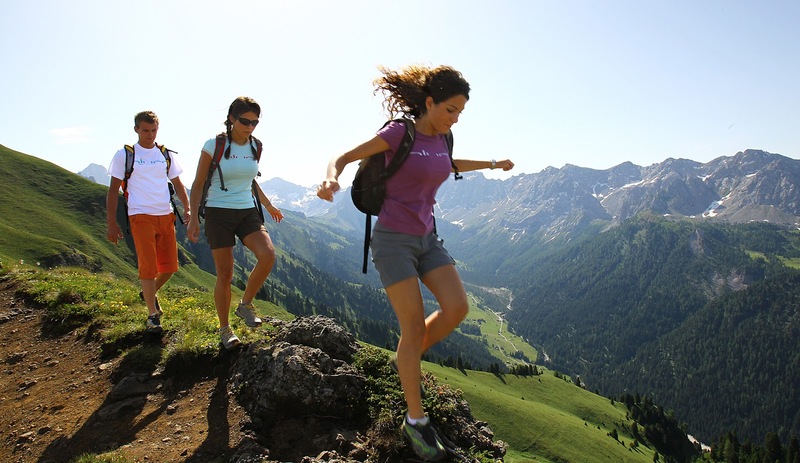 You also will enjoy spectacular scenery while walking along a narrow river. You eventually arrive in Y Linh Ho village of Black Hmong minority, where you can take a rest while you are served lunch nearby the river. After lunch, the trek will becomes tough on tinny footpath going up and down, which requires a lot of concentration. 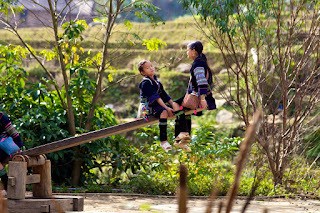 You will reach to Ta Trung Ho village of Red Dao Sapa Trekking Toursminority where you spend the night in local house. Both the valley and the village have just received foreign visitors. The night will be even more interesting when you are in the wonderful hospitable atmosphere of the Red Dao. After lunchtime, you descend to the valley where locates My Son village of Xa Pho minority, one of the smallest groups ethnic in Northern Vietnam. 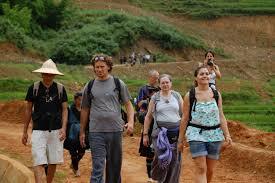 From there you take a short walk to Muong Bo village of Tay minority. Here you spend the night in traditional house of the Tay. You can take a walk to explore local daily life while your dinner will be served with Vietnamese dishes. Today’s trek will be relatively short and soft. Once leaving Muong Bo, you follow the trekking route built in the bottom of the valley, which offers the best view to the surrounding mountains. You stop at a nice spot for lunch. After lunchtime, you continue the walk toward Sin Chai village of Red Dao minority where the night will be spent in a bamboo hut in the village. Breakfast and leave Sin Chai B at about 08.00 am. Today’s adventure will take us through a number of small ethnic minority villages (including Red Dao, Tay, Xafo and Black H’mong). This portion of the trek offers stunning view of Nam Sai and Nam Cang Valleys as well as chances to understand life of tribal peoples in remote land. We will see people from the local communities carrying out their daily activities as it is in the northern highlands. Our trek will take us to our home stay for tonight in the Tay village - Nam Sai. Check in home-stay, having a short rest and enjoy an easy walk to explore this charming and quiet village. Following breakfast we will leave Nam Sai behind us and start to ascend to Nam Sang village of the Xa Pho people through Nam Sai valley. Paying visiting to local homes here for interesting discovery of the unique way of living. The Xa Pho is a sub group of the Phu La ethnic whose population is just about 4,000 in Vietnam and still live a primary way. Then follow the trails sneaking through mountains heading to Thanh Phu. Once you get to Thanh Phu Bridge, you start your journey back to Lao Cai by car. Arrive Hanoi at 5Am. End of tour.